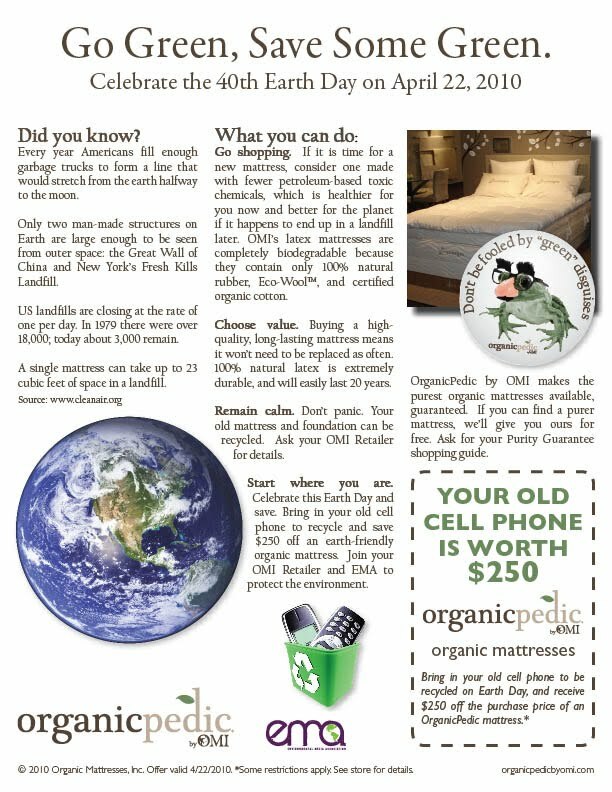 SAVE $250 OFF OF A QUEEN OR KING ORGANICPEDIC MATTRESS! *Not valid on Sierra, Matons or custom size mattresses. Order must be placed by the 25th of April, 2010.